Soft Plush FlipaZoo Toy Doubles as the Perfect Pillow to Snuggle During Nap, Bedtime, Car Rides and More. FlipaZoo, Not One, But Two Animals Makes the Ideal Toy for Kids of All Ages to Collect. 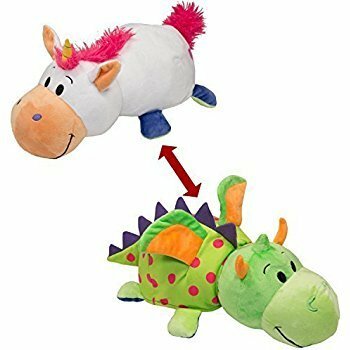 Stuffed FlipaZoo Toy Pillow is Safe, Washable and Available in Array of Characters & Sizes for All Tastes. If you have any questions about this product by Flipzoo, contact us by completing and submitting the form below. If you are looking for a specif part number, please include it with your message.